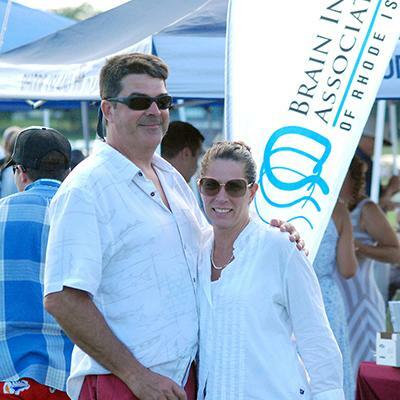 Gather your supporters at Newport Polo's 2019 Benefit Matches for fun and fundraising to support our local nonprofits! 501c3 civic and charitable organizations are invited to participate on Saturday, May 25 and Sunday, July 14 at 5PM as the home team takes on local rivals in action-packed 6 chukker matches. May 25 marks the pre-season opener and annual Rotary Club Benefit match in conjunction with the Newport Rotarians, followed by the All Charity Day on July 14. Dozens of qualified 501c3s participate each year, and there is plenty of opportunities to include multiple groups during each match. Fundraising is achieved through advanced ticket sales, and participants are welcome to host raffles, silent auctions, etc. for additional fundraising. 100% of ticket sales support these worthy civic and charitable organizations for the welfare of our community. Organizations that wish to participate may request the guidelines from info@nptpolo.com to start planning. The annual Rotary Benefit match, since 1991, is one of the most highly anticipated dates after the long winter hiatus, heralding the start of the polo season and the passage into summer. The All Charity Day, has been a rising star. In 2018, its third year, over 2k supporters turned out to raise $22,500 for the participants on the beautiful July day. Click Here for the 2018 highlights. About Newport Polo: Through its 28-year history, Newport Polo has raised over $1,400,000 for civic and charitable organizations. Initiatives include the International Polo Charity Ball, special benefit matches, and countless ticket donations for the Newport International Polo Series. Newport Polo hosts the Newport International Polo Series 28 and is the home of America's first polo club, est. in 1876, a founding member of the United States Polo Association, offering public exhibition matches, polo club member services for grass & arena polo, and polo instruction year-round. Information about Newport Polo's events, polo lessons, membership, and sponsorship can be found in About Newport Polo.